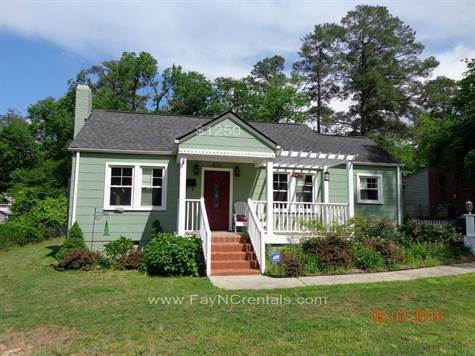 3 bedroom 1 bath Haymount cottage that is less than 10 minutes to the gates of Fort Bragg. Hardwood and tile throughout. Updated kitchen cabinets, countertop and appliances. Washer and dryer included. Fenced backyard with patio and shed. Pets permitted, NO HIGH RISK ANIMALS.